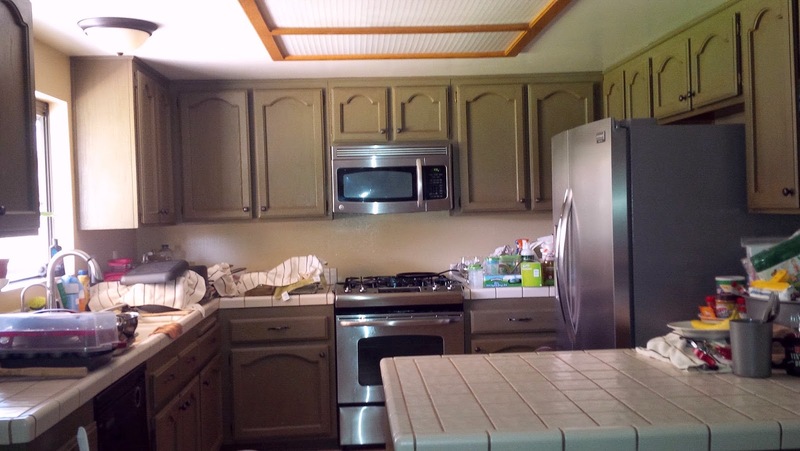 BEFORE picture of the kitchen... so many cabinets & drawers! Things got down to the wire and life seemed super bleak. But, our worries were eased when this rental house became available for immediate move-in. We submitted application, qualified, and went to town moving our stuff out of The Place.